Moray Beekeepers will be running again 3 one day ‘Introduction to Beekeeping’ courses in 2019, the dates being Sundays 5th May, 2nd June, and 7th July. The courses take place at our training apiary near Elgin and run from 10am till 4pm. Please find more details about the courses and booking opportunities on our ‘MBA course page‘. MBA members find the draft document in our ‘Constitution‘ section. Heavily subsidised by the Scottish Rural Development Programme, Knowledge Transfer and Innovation Fund, these courses are aimed at beekeepers of all levels who wish to improve and will be held in various locations in Scotland. Ifyou have a desire to learn you will be very welcome! The overall aim of the project is to improve honey bee husbandry, beekeeping skills and honey bee health which will secure a sustainable and healthy population of Scottish honey bees. Led by tutors qualified to a minimum of Scottish Expert Beemaster and limited to small groups they offer high quality training at an affordable cost. The training will cost students £60,00 (£65.11 if booking online) per 2 day course and includes teas, coffees, lunch, handouts and use of consumables where applicable. The MBA is also available on Facebook, please check it out here. Moray Beekeepers Association was established in 1919. We are a growing number of mostly amateur beekeepers located in North East Scotland, with the association being based in Moray. 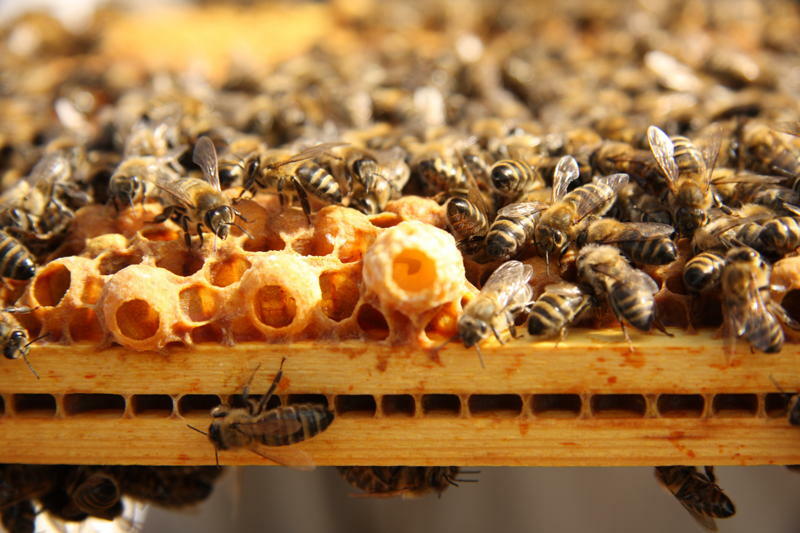 MBA exists to promote and foster an interest in the study, development and practice of beekeeping and to protect and conserve the future of the honeybee in Moray and Scotland. Please join us and help to preserve and protect the honeybee!! Interested in how you can help bees? We’ve produced a new, updated conservation pack to download. For Association members only – Throughout the summer we carry out our seasonal management tasks on the colonies at Birnie. You are most welcome to come along and help out. Please get involved, your beekeeping association needs you! Contact the secretary to get the detailed dates and times for these sessions.